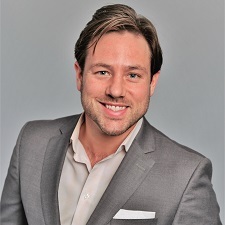 Darin Throndson is a graduate of the University of Memphis with an emphasis in business and public health, Pillar Scholarship award winner from the National Association of Dental Laboratories, and a certified DAMAS consultant for dental laboratories. He has been involved in CEREC, InLab, and CAD/CAM dentistry for over a dozen years. 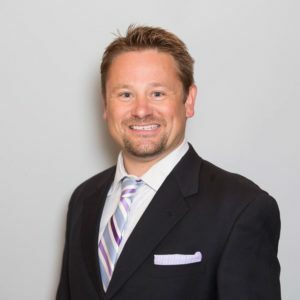 In his career he has been a sales professional for a major dental distributor, Clinical Director for an in-office CAD/CAM training company, and is currently President of Innovative Dental Technologies, a dental laboratory, cone beam imaging center, and CAD/CAM consulting company. He is devoted to the refinement of his and craft and the teaching and mentoring of dentists, laboratory technicians, and auxiliary staff on CAD/CAM methods, materials, and marketing. He has lectured both domestically and internationally on CAD/CAM dentistry and has completed hundreds of hours of continuing education from some of the world’s most recognized names in dental and laboratory education. He enjoys sharing that knowledge in the continuing pursuit of dental excellence. Josh Throndson moved to Memphis to pursue a career in dental technology. He attended the Tennessee College of Applied Technology and graduated both with honors and as a Registered Graduate. Post schooling, he was awarded a Certified Dental Technician certificate. He worked with several prosthodontists while also developing the clinical skills and knowledge that would lead him to becoming an entrepreneur in the dental industry. After working in both private practice and for a manufacturer of implant supported, CAD/CAM produced titanium bars, he was asked to lead the dental technology program at the Tennessee College of Applied Technology. In August of 2017 he left academia to become a partner at Innovative Dental Technologies. He has a variety of eclectic tastes outside of dentistry that include a love of sports, arts, technology, and science. These interests enable him to bring fresh and innovative approaches to the company and also allow him to connect with a wide range of clients. Send us a case. See what Innovative Dental Technologies can do for you. Darin and his team are wizards! I have been searching for quality service, turnaround, and technology advances for so long. We look forward to continuing our relationship with Innovative Dental Technologies for years to come! - John D.